The body is of course the standard Stratocaster shape, which has been proven over time to be a great design and is one of the most copied shapes around. The Mini Strat has nice vintage Stratocaster look to them that comes in classic colors like Black, Torino Red, Blue, Sunburst and not so classic pink. The finish is glossy and smooth, and both the body and the neck look and feel like a real Strat. This is an easy instrument to play. The neck is smooth and very nicely finished and the strings are close to the frets, making it easy for small hands to play and progress quickly. Also, the smaller size and light weight of the body makes it comfortable and easy for kids to hold. Generally players can play this model right out of box with little in the way of modifications. 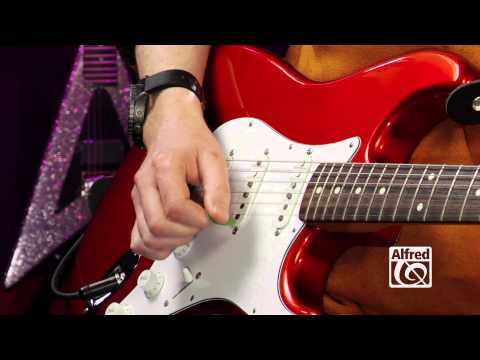 This is a decent sounding Stratocaster with a good strong tone. It sounds like a strat, so it’s a little twangy, which is nice. For the most part it stays in tune well and has no noise from the pickups. 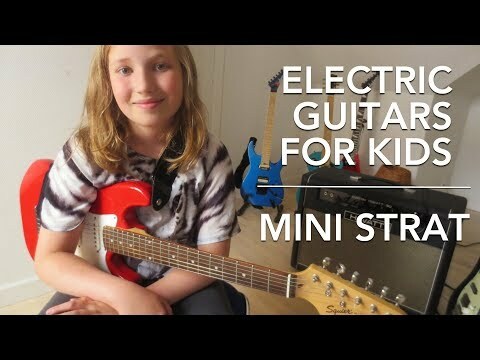 The electronics on the Mini Strat are decent for the price. It has 3 single coil pickups which are standard Squier Strat features so it does sound like a typical Stratocaster. The hardware is very solid on this model. The tuners aren’t the greatest but they are fine for kids and will work well enough to keep it in tune, and they are easy to use once they have gotten used to them. All in all, for the price you would be hard pressed to find anything better. These Mini Strats are easy to modify and customize (if that is something that you are into). Everything on this guitar is solid, and it’s assembled and finished nicely. One issue with workmanship on cheaper guitars is frets that aren’t done well and the fret end can be a little sharp on this model which can be a bit of a turn off for kids, although in this price range it isn’t uncommon. The tuners can be hard to turn when the guitar is right out of the box, but usually with use they will loosen up.